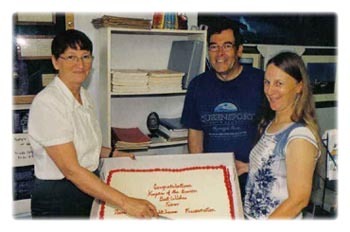 The Guysborough County Heritage Association (GCHA) became a registered non-profit society in July of 2002. The society consists of approximately 17 heritage/culture organizations from across the county. The their intentions are to work as a cohesive group to develop the county’s heritage and in turn present this facet of the county’s cultural mosaic to its various publics. Given the diversity of members and associations who belong to this collective, the general consensus of the group was the need to determine a framework from which to evolve and grow. 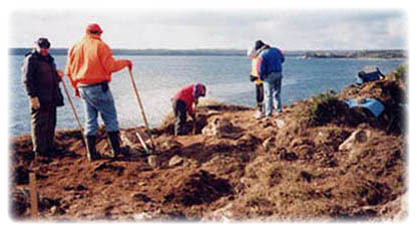 Guysborough County Heritage Association began the implementation process for their strategic plan in October 2003 and concluded this process in May 2004, with the assistance of the Guysborough County Regional Development Authority staff. Through a strategic planning process, the organization wanted to establish its long-term goals by developing a community vision statement as well as devising a framework to meet the goals of the group. Those involved with the process were members and executive who are representing their respective groups. The vision for the Guysborough County Heritage Association is that Guysborough County offers you the opportunity to live, learn and experience our diverse heritage. To operate as a unified organization focused on the same vision and strategic issues as defined by the members. Through a collective voice the group will work on the delivery of its Strategic Plan, which focuses on sharing of information, (communication plan), heritage awareness, museum management, knowing and sharing our heritage product, youth participation, as well as improved promotions and communications throughout the county in regards to informing the public on our heritage product. A collection of photographs, publications and newspaper articles documenting the history of African Nova Scotians in and from the area is on display. The Centre runs many programs and invites speakers for students and teachers within Chedabucto Place, and is also open as a resource centre to other schools and educational institutions. The Afrikan Canadian Heritage and Friendship Centre is open to the public. Hidden away, just off Route 16, is a graveyard marked with a monument celebrating the Black Loyalists who began settling the area in the late 1700’s. These Loyalist families settled as farmers raising livestock, and trades people who worked for their wages. No one is sure how many people are buried here. There is only one tombstone standing on the site, marking the resting place of a soldier who died in 1918. This graveyard was lost to the community for many years. 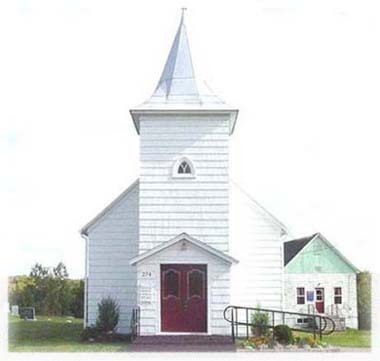 After its return to the community, the congregation of the Tracadie United Baptist Church erected a cairn on the site. The inscription reads: “In memory of the pioneers of the Black Community, 1782-1931 who are buried in this cemetery. This cairn was erected by the Tracadie United Baptist Church members in 1988.? 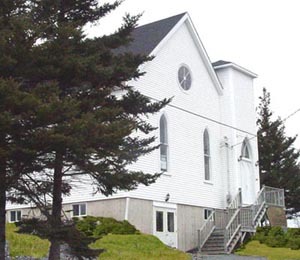 The church was started in 1822 with a congregation consisting of the descendants of Black Loyalists who came to the area in the late 1700’s. The church often shared its pastor with the nearby community of Sunnyville. There is a cemetery on site, reflecting the names of the families who settled in and were part of the communities. Some of the names seen on the stones today include Elms, Parris, Reddick, Campbell and Izzard. The Church has served as a focal point for a long time, with gatherings of men’s groups and women’s clubs for the community. Members often combine their efforts to make contributions towards their own and the broader community. In 1988 members erected a monument to celebrate the history of the Black Loyalists in a recovered graveyard in Monastery. The Black Loyalists arrived in the Guysborough area, and by the late 1800’s had established a number of communities throughout the area. They faced rough winters and harsh, farming summers, yet persevered. The first reference to a Sunday School in connection with the Sunnyville church is from 1925. There were 26 scholars and Mrs. Mable Borden of Guysborough was the superintendent. The date of the building in which people worshipped is not clear. The first mention of it in denominational records, however, was in 1925. There, for the first time in those records, a reference appears stating the existence of a church building the value of which was given as $1,000. The clerk of the congregation at that time was Mrs. James Skinner. Guysborough County is located on the most eastern tip of the province of Nova Scotia. The area has a history that is rich in tradition. For centuries the people of the county made their living from the sea. 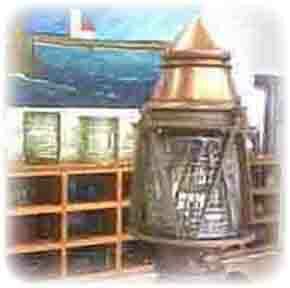 The lighthouses and beacons that were located off the shores of Guysborough County directed many of our county fishermen to safety and have an interesting story to tell. The Queensport Lighthouse sits on Rook Island (Rock Island) at the entrance to Queensport Harbour. It was first built in 1882 and at that time was lit by kerosene. It was a square white wooden building with a red lantern on the roof. The second building was constructed in 1936. The lighthouse became automated in 1967. I live down by the sea. It is believed the Black Loyalist arrived in the Country Harbour area in 1784. In other information it is stated that the history of the black population in Guysborough County dates back to 1783 and that is when the Black Loyalist first came to this area. At that time the two main settlement sites for these people were Country Harbour and Guysborough.It is reported that in December of 1783 or 1784 a ship known as the Kings Rangers from sunny Carolina, brought loyalist to settle and homestead in the Country Harbour and Stormont area. Just think about it, December in warm Carolina and December in Nova Scotia, this would be quite a change. Stories of the misery, cold, scurvy and deaths have been told many times. It was reported that 300 of the 900 original settlers died the first winter.In spite of all the diversity and hardship they managed to clear land, build homes and raise families. They did this by very long hours of hard work and their belief in God. In 1817 a great gale accompanied by phenomenally high tides ravished the coast of Nova Scotia. A horrible misfortune fell upon Stormont the high winds blew down most of the great forest. This was the chief source of the community life. A number of homes were flattened and high tides swept them completely away. The people were discouraged and disheartened by this disaster and they thought this was a curse. Many of the people moved away, some to Guysborough some to Halifax or other provincial points. Some of the names that stayed in the area were Jackson, Sims, Lynch, Webb, Harrington and Clyghts often called cly’s now known as Clykes, there were many other names. Isaac Webb and his family were some of the people that stayed in the area. He moved just a few miles east to a beautiful little harbour that became known as Isaac’s Place and it is know today as Isaac’s Harbour. Isaac worked hard and as the years went by he raised a large family with extra hands to help do the work. It was reported that the family became quite prosperous. His southern hospitality widely prevailed and everyone rich or poor, black, red or white was welcome at the door of his large white farmhouse. Isaac Webb lived in peace and harmony with the world and his neighbors which were the Mic Mac Indians. His name was honored and respected by all who knew of his sincerity and kindness. Many ships sheltering in the harbour from the storms that lashed the coast from time to time would purchase fresh provisions from the Webb farm. The crews from the ships began to know him as a friend. Benjamin Harrington, his grandparents and a number of other people moved to a place that is now known as Goldboro. There they cleared land, built homes and planted crops. These people sold fresh provisions to the many ships sheltering in the harbour from the storms.Benjamin Harrington had a son named Cecil who was a bit under six feet in height. He would slaughter pigs for people in his community and other surrounding communities. Cecil also used to do some boxing and was know in the area as “Kid Nova”. He had a make shift gymnasium set up in the barn where he would work out and teach other children how to box. Cecil Harrington had sisters named Ada, Evelyn and Agatha, also known as Gate. Gate married Bill Skinner from Guysborough, he was known as Bill Skinner the Butcher. This was because he would do most of the slaughtering in the area. Bill and Agatha had a number of sons and daughters, One daughter is now living in New York. Alonzo Reddick spoke with her early in October of year 2000.Benjamin Harrington was not buried in the Black Loyalist Cemetery. He died in 1918 and was buried in the Bayview Cemetery in Goldboro along with a daughter whose name is unknown. The first white settlers in the late spring of 1830 were two young fishermen, Simon Giffin and John MacMillan from Louis Head, near Sable River, bound for fishing grounds off Labrador. Bad weather forced them to find shelter for their fishing schooners as they sailed along Nova Scotia’s eastern coast, in what is now known as Isaac’s Harbour. On the Goldbrook Road in Goldboro is a monument to the Black Loyalists who were buried in the Redhead Cemetery on the harbour side of Goldboro, after years of erosion gravesites were becoming exposed and a group of concerned citizens worked together to move the remains and erect a monument in their honor at the Bayview Cemetery. Canadian hard-rock mining began in Nova Scotia in 1860 – first in Tangier and, in 1861 at Wine Harbour and the Sherbrooke Gold District (Goldenville). Over the next few years mines were opened along a narrow geological belt from Seal Harbour in the East to Molega (Queen’s County) in the West. Almost all of these mining operations were on or near the Marine Drive along the Eastern Shore: Seal Harbour, Goldboro, Forest Hill, Country Harbour Mines, Wine Harbour, Cochrane Hill, Goldenville, Lochaber Mines, 15 Mile, Moose River, Caribou, Montague, Oldham, Waverly. For 80 years (1860’s to 1940’s) these mines were at the centre of bustling, prosperous communities. Most of the communities have shrunk to a few families and some, (Cochrane Hill, Forest Hill, 15 Mile) have disappeared. Still, the magic and excitement of GOLD persists! Heritage Goldenville members have visited gold mining restorations in California (the Great Gold Rush Trail of ‘49 – remembering the Great Gold Rush of 1849 – which passes through some 50 mining communities on its 300 mile/500 kilometer route), Barkerville in the British Columbia Cariboo Country and, of course, Dawson City in the Klondyke. After these visits there can be no doubt about the popularity of mining restorations. The key word is . . . GOLD!! (2) part of an educational experience reminding Nova Scotians, and others, young and old, of the rich heritage and extensive gold-mining heritage. A heritage which envelopes and brings to living memory mining, community, families, and a bygone way of life for a small but historically important metropolitan community which was pivotal in this part of the province. In this regard, we see the Heritage Goldenville Centre as the focus for a much wider endeavour, namely the creation of a NOVA SCOTIA GOLD MINING TRAIL extending form Halifax/Dartmouth to Seal Harbour and anchored on the Marine Drive. Once established, there could be “mini trails” such as Halifax/Dartmouth – Waverly – Oldham – Montague; or Halifax/Dartmouth – Tangier – Moose River – Caribou; or Antigonish/New Glasgow – Cochrane Hill – Goldenville – Wine Harbour – Bickerton Lighthouse – Country Harbour Mines – Goldboro – Seal Harbour… There could be many variations along the Marine Drive route.